Flames from the Pawnee fire consume the forest east of Spring Valley, Calif., Monday, June 25, 2018. The Pawnee Fire in Lake County that has prompted assistance from many Bay Area fire agencies is 80 percent contained as of Tuesday, according to Cal Fire. The blaze, which started at 5:21 p.m. Saturday, had burned 14,900 acres as of noon Tuesday, fire officials said. The Lake County Sheriff's Office lifted all of the mandatory evacuation ordered for the Double Eagle Subdivision. All residents and businesses in the area are being told to return with cautions and to be careful driving around in the area. The fire has destroyed 22 structures and damaged six, and one firefighter suffered an injury, according to Cal Fire. No civilians have been injured. A four-alarm brush fire prompted evacuations in Concord late Friday afternoon, firefighters said. San Mateo County are among the agencies assisting. 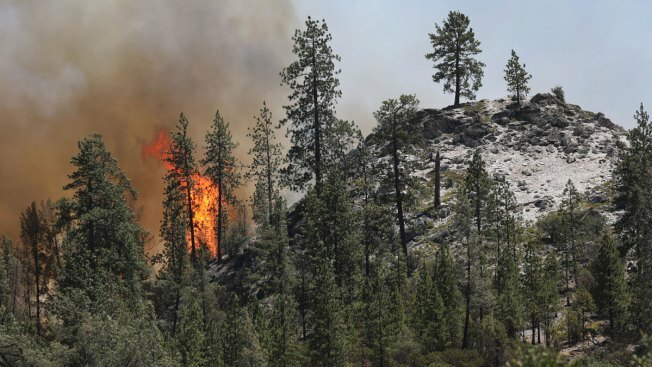 Fire activity is expected to continue to be minimal, according to fire officials, and suppression repair is underway in an effort to restore the landscape to as near a pre-fire condition as possible. 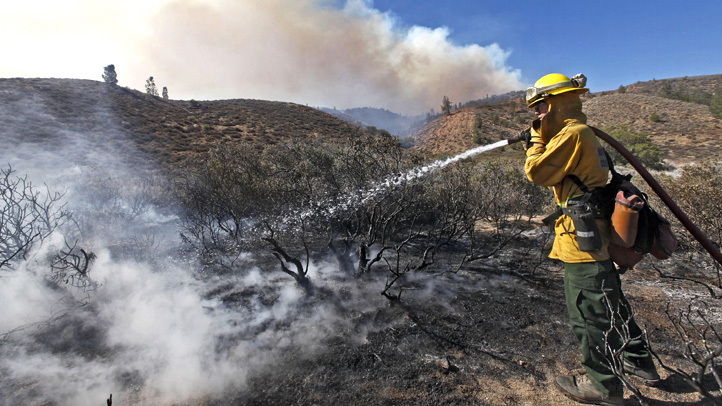 A Red Flag warning has been issued for the fire area and will last through the weekend, Cal Fire officials said.